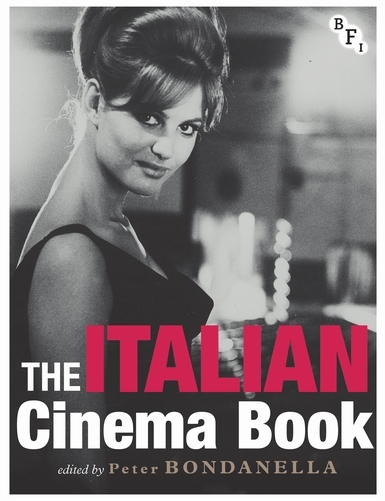 THE ITALIAN CINEMA BOOK is an essential guide to the most important historical, aesthetic and cultural aspects of Italian cinema, from 1895 to the present day. THE ITALIAN CINEMA BOOK is an essential guide to the most important historical, aesthetic and cultural aspects of Italian cinema, from 1895 to the present day. THE ITALIAN CINEMA BOOK is an essential guide to the most important historical, aesthetic and cultural aspects of Italian cinema, from 1895 to the present day. With contributions from 39 leading international scholars, the book is structured around six chronologically organised sections: THE SILENT ERA (1895–22) THE BIRTH OF THE TALKIES AND THE FASCIST ERA (1922–45) POSTWAR CINEMATIC CULTURE (1945–59) THE GOLDEN AGE OF ITALIAN CINEMA (1960–80) AN AGE OF CRISIS, TRANSITION AND CONSOLIDATION (1981 TO THE PRESENT) NEW DIRECTIONS IN CRITICAL APPROACHES TO ITALIAN CINEMA Acutely aware of the contemporary 'rethinking' of Italian cinema history, Peter Bondanella has brought together a diverse range of essays which represent the cutting edge of Italian film theory and criticism. This provocative collection will provide the film student, scholar or enthusiast with a comprehensive understanding of the major developments in what might be called twentieth-century Italy's greatest and most original art form. THE ITALIAN CINEMA BOOK is an essential guide to the most important historical, aesthetic and cultural aspects of Italian cinema, from 1895 to the present day. With contributions from 39 leading international scholars, the book is structured around six chronologically organised sections: THE SILENT ERA (1895–22) THE BIRTH OF THE TALKIES AND THE FASCIST ERA (1922–45) POSTWAR CINEMATIC CULTURE (1945–59) THE GOLDEN AGE OF ITALIAN CINEMA (1960–80) AN AGE OF CRISIS, TRANSITION AND CONSOLIDATION (1981 TO THE PRESENT) NEW DIRECTIONS IN CRITICAL APPROACHES TO ITALIAN CINEMA Acutely aware of the contemporary 'rethinking' of Italian cinema history, Peter Bondanella has brought together a diverse range of essays which represent the cutting edge of Italian film theory and criticism. This provocative collection will provide the film student, scholar or enthusiast with a comprehensive understanding of the major developments in what might be called twentieth-century Italy's greatest and most original art form.